I love Madewell, mainly because not only do they carry their own brand, but others as well. Their clothing and accessories are casual or edgy, depending on how you style the look. They have a vast offering of merchandise, the quality is great, and the price points vary. It’s a great place to find anything you’re looking for and you know you’ll walk away with pieces that will last you many trend-filled seasons. I’ve put together my picks for this summer. Hope you like them! A must have for summer, but I think I’ve selected a range that can go through all seasons with the right accent pieces. One of the brands designed by this year’s CFDA winners, Mary Kate and Ashley Olsen (and one of my favorites). This collection offers fabulous denim pieces and quirky dresses. I love that they chose to do the jacket in a bright pink, the jeans offer that 70’s vibe I dig, and the shirtdress is right on trend for this season. Everyone needs a fantastic bikini, a great hat and sunnies, and some tops for summer. 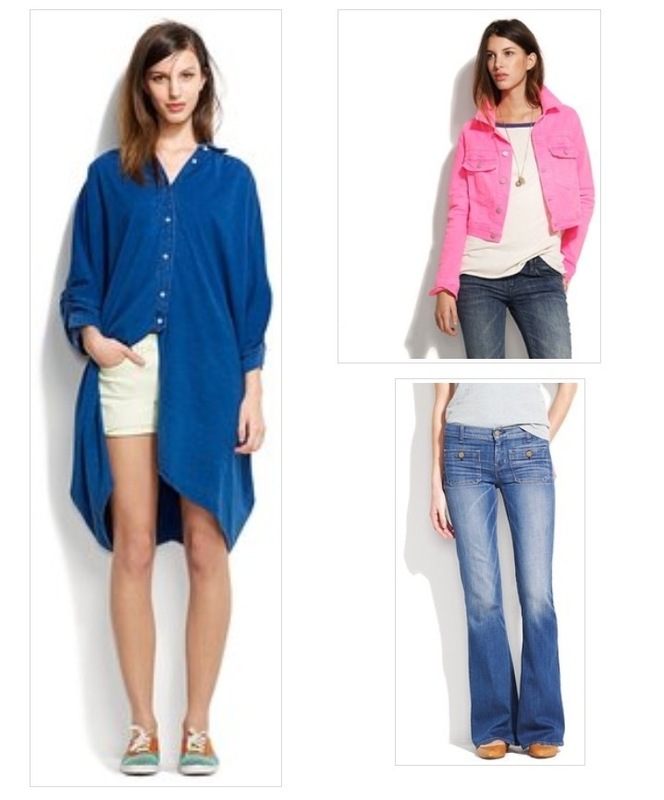 These are my favorites warm-weather pieces. Summer essentials, for me, are pieces you can wear year after year. Bikinis, sunglasses, denim, tees, a great dress-these all are essentials. Add some trendier items and you have the perfect outfits for the season.